If you are looking for an action camera that delivers solid performance but doesn’t cost an arm and a leg, set your budget to around $200. There are truly excellent budget action camera options in this range for cash-strapped users. I have compiled another list of the best action cameras under $100. This list is for what I call “moderate budget” users, who want an affordable action camera but not a dirt cheap one. For around $200, you can get good specs like the 4K that actually works. 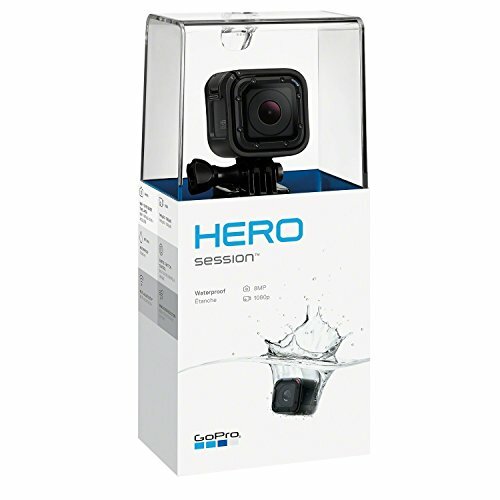 GoPro HERO session tops the list because of its overall features. Hands, down, GoPro HERO Session is the best action camera under $200 you can buy. This is our choice action camera to use. Hero was formerly known as GoPro Session 4. 1080p 60, 50, 30, 25 ultra wide, medium 1920 x 1080, 1080p SuperView, 720p SuperView, 1440p, and many more. You can find a full list of resolutions supported on the official GoPro website. Do not expect the same video quality as GoPro Hero Silver though. The camera itself is very small and lightweight, so it’s highly portable. It’s very easy to operate as well. It has one-click operation, meaning video recording starts with a single press of the main button. It has an accompanying smartphone app as well. So, you can technically start recording with a handheld device as well. We tested the Hero Sessions on hiking trips frequently. It’s great for shooting field views of vast, horizontal landscapes. With about a 3mm angle, there’s a bit of a fisheye effect, but it’s not too bad. It’s certainly not on the same scale as higher end GoPros, but it’s well suited for amateur videographers. Making clip videos is super easy with GoPro studio software. You can buy a host of accessories for this as well, like suction cup mounts for using in cars, boats, or bikes. Storage is expandable with an SD card. We have to point out that this GoPro is remarkable durable and sturdy too. We have dropped it about twice now, and it got caught in rain once, and we even sat down on it once. But it works like none of this ever happened. If there’s a negative, we’d say the crappy Wi-Fi connection. It can take some time to set up and start working. Battery life could be a bit longer as well. Ours lasted about 2 hours on 1080p resolution. This is a tiny, but powerful camera. From the outset, the sleek design is notable. It looks like a neat little black box. This camera easily links to smartphones and tablets, so functionality level is high. It records 4K video at 30 fps, 1080 video at 120 fps, and 720p video at 240fps. So the specs are really solid. It can also take 12MP photos. We highly recommend this for landscape photographs, mainly because of the 155-degree wide angle lens with an F2.8 aperture. It supports really high speed Wi-Fi between 5GHz and 2.4GHz too. The built-in touchscreeen has 640×360 resolution, which is quite high for camera screens. It’s powered by an Ambarella A9SE75 chip and a Sony IMX377 image sensor, so you know this is of the best quality that money can buy. It has image stability, and also comes with a cooling system. The cooling system prevents the camera from overheating, and enables stable recording throughout. Compared to GoPro Hero Session mentioned above, this one doesn’t have much contrast, but YI boots faster. Please note that this camera unfortunately lacks HDMI output. This is definitely one of the best action cameras under $200 money can buy. 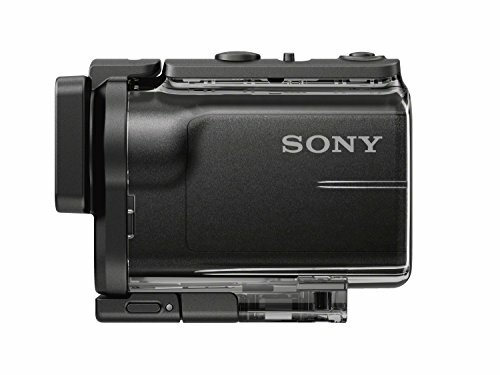 This Sony is an older model, but it can stand toe to toe with a GoPro any given day. The quality of the video is truly impressive when shot while moving. This camera can shoot Full HD video with XAVC-S.
What really makes it worth it is the SteadyShot image stabilization tech. It reduces blur in footage shot while in rapid motion. 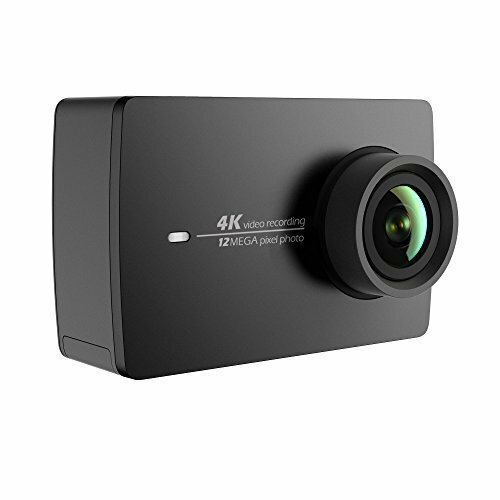 We’ve shot video using this when biking and driving, and there’s a noticeable difference in quality when compared to just about any other action camera in this price range. There’s little oscillation so the video is not nauseating to watch. The camera is a bit bulky, but it comes with a waterproof case and Wi-Fi, Bluetooth and NFC connections. With ZEISS lenses, it offers Optical Steady shots. The waterproof housing can withstand 60m of submergence. It’s definitely well worth the money, but keep in mind that it only works with software Sony provides. It lacks a connection to stream HD video on TVs too. One of the best things about this camera is that in addition to the great price, you also get lots of additional accessories as well. So, if you tend to lead an adventurous lifestyle and need mounts and accessories for various activities, this is the camera for you. Apart from the camera and its required tools, you are provided with different mounts, tethers, and more. This includes a waterproof case that will keep the camera protected up to 30m. Of course, what’s really important is the quality and that is something that this action camera has managed to do well. With images, you get 20MP pictures – some of the highest quality around. As for the video, you are able to record in 4K, 30fps. It should be noted, though, that the camera isn’t too great in low light and the images and recordings can be a bit grainy. To make up for this, however, the camera has electronic image stabilization. So, whether you are running around or cycling on crazy terrain, you can be certain that your images will be as still and as focused as possible. The optional view angle feature allows you to choose from various angles, depending on your position. As such, your photos look a lot more professional. Moreover, thanks to the touchscreen feature, you can use this camera without any issue at all. You can also download a compatible app for the camera so that you can transfer media without any issue at all, either with HDMI cable or Wi-Fi. If you are willing to spend close to $200, then you are not going for a dirt cheap action camera. So look closely at the features on offer. A $200 camera must offer more than what you can get for a $100. Do not expect true 4K for this price. Most budget action cams advertise 4k video, but it’s shot at a very low fps, like 15. In other words, not really 4k. What you should look for instead is the fps for 1080p. Most budget cameras mentioned above can shoot excellent 1080p 60fps video, which is really all you need for truly great footage. Do not buy the action camera if the max field view is below 140 degrees. The higher the field view, the wider the footage will be. It’s best to understand various camera specs so you can make the best buying decision. Here is a useful guide. Not all budget action cameras are waterproof or water resistant. So make sure the camera has waterproof features before buying if you need it. 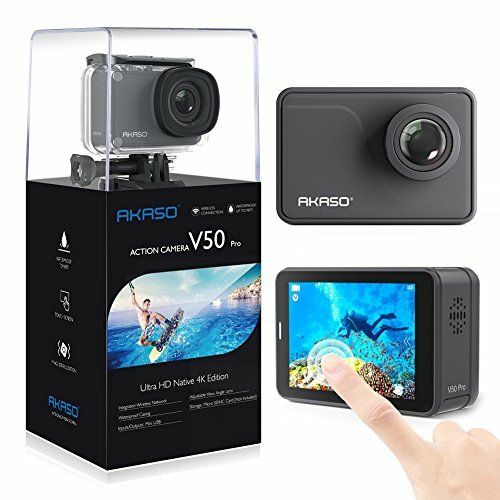 Buy your action camera from a seller with good ratings for customer support. You may need to replace parts or upgrade software, which you will have to rely on the seller for. Therefore, it’s important to go with a good one.